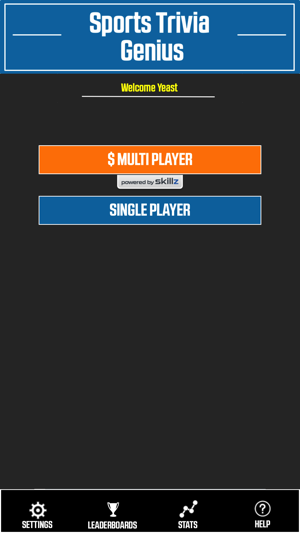 NEW - Multiplayer head to head Sports Trivia powered by Skillz eGaming platform. Compete for prizes!! 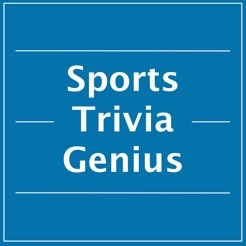 Random Sports Trivia Quiz – Train to be a Sports Genius and improve your sports trivia knowledge. 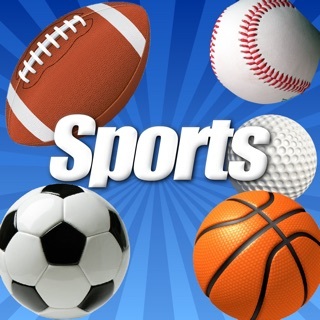 Play sports trivia quizzes about randomly chosen sports topics. 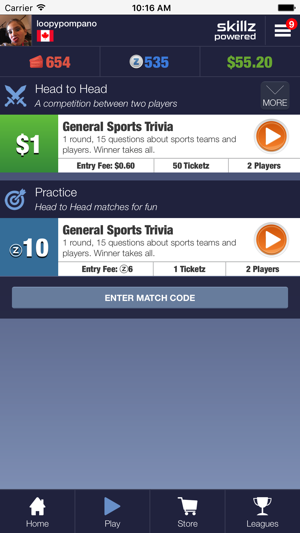 Sports Trivia by Team Quiz - Go deep, sharpen your skills and become a super fan. 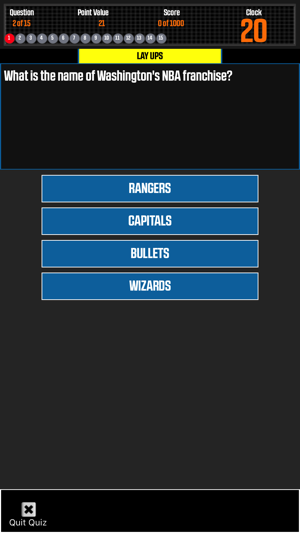 Play sports trivia quizzes about your favorite sports team. 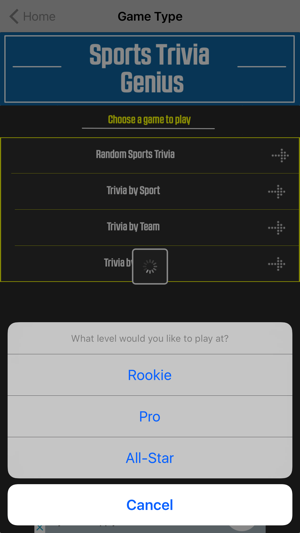 Sports Trivia by Sport Quiz - Pick a pro or amateur sport and challenge your sports trivia knowledge about all the teams in the league. 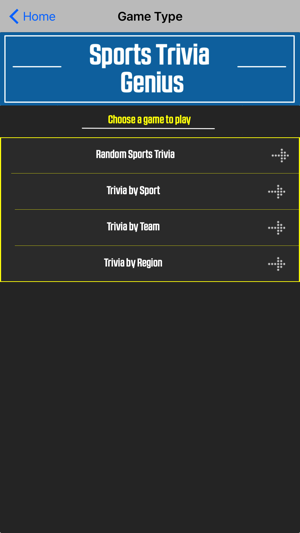 Sports Trivia by Region Quiz – Play sports trivia about all the teams in specific geographical regions. 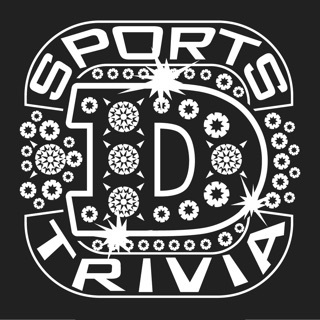 Challenge yourself and learn sports trivia facts about your local teams. Scoreboard – Check out how rank amongst other Sports Geniuses. 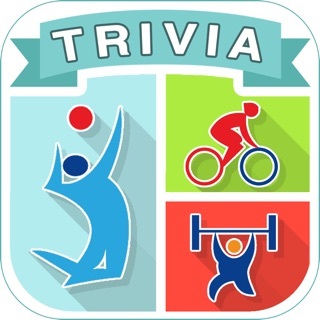 Compare your performance on trivia quizzes against other by team, sport, region and general trivia. Updated and streamline look and feel. Love the new version. Very challenging, which is exactly what you want. This is no cheap and easy top 10 list that everyone gets 10 out of 10.. I love the options for playing by sport or region. And I like the stats and ability to share. Looking forward to playing with friends and seeing who is the bigger genius... hahaha.